“If you don’t know where you’re going, you’ll probably end up someplace else,” said Laurence Peter. For any brand doing business on the internet, to get where you want to go, an understanding of Search Engine Optimization (SEO) is required. The reasons why are simple. SEO is about measuring website and marketing effectiveness and, with the learning, making adjustments to attract more people who take the actions you want. What are the measurements that matter? Here are 10 SEO measurements every marketer should know. Return on Investment (ROI): It’s the final word on the success of any marketing campaign. This is no different for search marketing, It’s an objective measure of performance based on the buying cycle for your brand (e.g. 30 days, 60 days, 90 days). A calculation from Klipfolio is: (Attributable Revenue – Campaign Investment) / (Campaign Investment) X 100(%) = ROI (over X time period) and an example: ($1.0 M Revenue – $0.5 M Invest) / ( $0.5 M Invest) X 100(%) = 100% ROI over past 90 days. Visitors from Search: Every website should install an analytics tool, such as Google Analytics. In the Traffic Sources section, you see the percent of people who come to your website from search, referrals (e.g. social networks, other websites, email marketing) and direct. It is displayed as a pie chart. 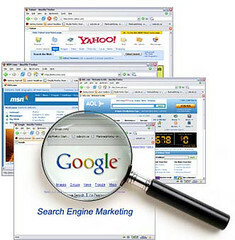 For most websites, search comprises the largest percentage so monitoring the number of visitors from search makes sense. Keyword Search Volume: It’s important to know the search volume of keywords. Choose based on the unmet need your brand fills and where you chances of a top rank are best. This is the principle of “Short vs. Long Tail Keywords.” If a keyword has 30,000 or more searches a month, it is a high volume search term. A good tools for measuring search volume is the Keyword Tool in Google Adwords. Cost Per Click (CPC): Although you don’t buy keywords in an SEO campaign, it’s still good to know what people pay for them. This gives you the value of your keywords measured on a CPC (Cost Per Click) basis. CPC’s can also be found with Google Adwords’ Keywords Tool. Keywords run a wide range but many fall in the range of $1.00 to $5.00 per click. Number of website pages receiving at least one visit from search engines: Publishing fresh and high quality content is key to drawing more traffic from search engines. Why? The more content a site has, the more search queries it is relevant to, and the more search impressions and clicks it will get. If you are publishing new content, you should see more and more pages on the site drawing traffic. Number of pages indexed by search engines: Search engines look for fresh content so they can serve it up later in search results. If they don’t index it, results won’t show it. The more fresh content you create, the more often search engines will come back looking for more. Links: Every link to your site is another vote in the popularity contest for your site. Links add to your recognition as an authority with the search engines. The more sites that link to you, the better you will rank. Keep on creating and sharing good content, and you raise your relevance and authority. Conversion: The #1 business requirement of your search campaign is to get customers to take the action you want. Every site has its goal(s), whether it’s a sale, signup, a particular page view, an inquiry form, or a video view. Whatever your goal is, you must track it. If you can attach a dollar amount to each completed goal, even better. With effective SEO work, the number of completed goals (and revenue, if applicable) should increase over time. If you’re interested in hands-on search training for your business, Rutgers CMD is conducting a MIni-MBA in Search Marketing and Analytics from December 10-14. I’m fortunate to be teaching with Mike Moran and Tim Peter. Do these 10 measurements help you see how SEO builds your business online? Is web design the next search marketing battleground?